Yemeni government and rebel representatives met in Jordan on Thursday for a second day to thrash out the details of a major prisoner exchange, a UN official said. But the details were left for later as UN mediators focused on brokering breakthrough truce deals for the lifeline port of Hodeida and battleground third city Taez. 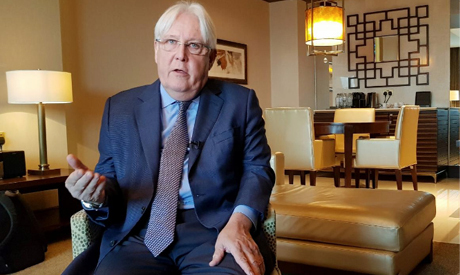 The new meetings come after the UN Security Council on Wednesday unanimously approved the deployment of up to 75 monitors to oversee the truce in Hodeida, which has largely held despite delays in an agreed withdrawal of combatants. The truce in the largely rebel-held Red Sea port city was the centrepiece of a series of breakthrough agreements brokered by the United Nations in Sweden last month in what is widely seen as the best chance yet of ending Yemen's devastating four-year civil war. Alistair Burt, the British Foreign Office's minister responsible for Middle East affairs, said both sides had largely complied with the ceasefire in Hodeida. "The relative calm there reflects the benefit of the Stockholm agreement," he told British legislators on Wednesday. "There are sporadic incidents... but broadly (the ceasefire) has held."